BUFFALO, N.Y. (AP) — High winds howled through much of the eastern U.S. for a second day Monday, cutting power to hundreds of thousands of homes and businesses, closing schools, and pushing dramatic mounds of ice onto the shores of Lake Erie. 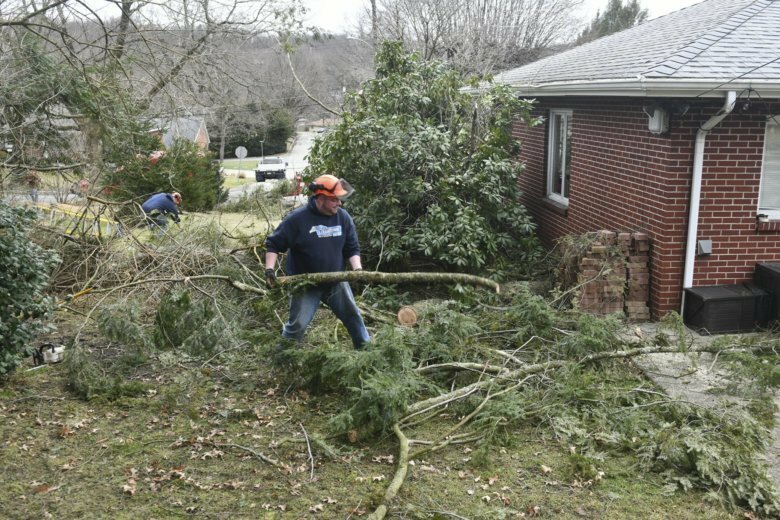 Wind gusts of hurricane force — 74 mph (119 kph) — or higher were reported around the region, including West Virginia and New York. While atop Mount Washington, the Northeast’s highest peak of 6,288 feet (1,916 meters) in New Hampshire, a gust of 144 mph (231 kph) was recorded. Wind advisories and warnings were in effect through Monday in the mid-Atlantic and Northeast up to northern New England. In Maine, police say a trucker blamed wind for causing his tractor-trailer loaded with bananas to swerve and overturn on the Maine Turnpike. While in Sandusky, Ohio, a motorist captured video of a tractor-trailer flipping over on a bridge .